Step inside Portland's premiere pregnancy and parenting spa and you will immediately feel at ease. Zenana Spa and Wellness Center offers pregnant and parenting families a wide variety of spa services, support groups and educational opportunities that nurture the body, mind, spirit, and family. Several spa packages that combine pregnancy or postnatal massage with a facial, spa pedicure or other treatment. Inspired by the traditions and rituals of Eastern cultures, Jinsei Spa offers a unique environment in which to relax, renew and enjoy some prenatal bliss. 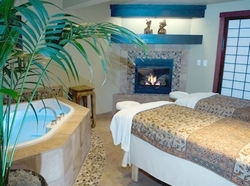 Moms and dads-to-be can enjoy side-by-side massages in the romantic couples massage suite, featuring a fireplace and soaking tub. Jinsei Spa's prenatal massage is focused on the special needs of mothers-to-be. It alleviates stiffness and fatigue while it relaxes the nervous system and promotes restful sleep. 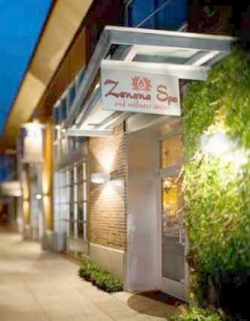 The Zama Massage Therapeutic Spa is one of the most popular day spas in Portland. If offers an extensive menu of spa services, from Thai massage to Acutonics, and encourages couples to attend for special occasions such as one day babymoons! 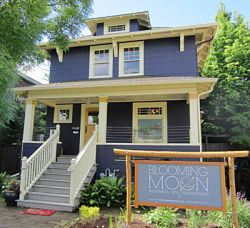 Located in the trendy "noPo" neighborhood, Blooming Moon is a spa that aims to balance body, mind and environment. All ingredients and products used in its treatments are completely natural and fresh, whilst the spa's award winning "Epicuren" product line combines organic ingredients rich in health-promoting anti-oxidants. (Ask about pricing for couples). Looking for an overnight stay with your pregnancy spa treatment? Search our Babymoon Destinations to find the perfect babymoon vacation.